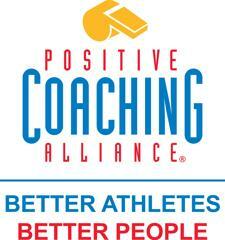 As part of a targeted effort to provide the most positiveexperience for its players, NLYBS has established a partnership with Positive Coaching Alliance (PCA). PCA, a Stanford University-based non-profit organization, works with coaches, organizational leaders and parents to more effectively teach young athletes about teamwork, discipline, respect and goal-setting through their sports experience. Additional information COMING and can be found on the NLYBS website and Facebook page. Information will also be shared throughout the season with coaches, parents, and players. The first O is for Opponents. We always treat our opponents the way we’d like to be treated even as we try to defeat them. The second O is Officials. We show respect for officials even when they make a mistake that hurts our team. If we win by dishonoring the game, we really can’t be proud of what we’ve done. And the reverse is true. If we Honor the Game and we lose, we can still feel good about it (even though we are disappointed we lost). Competitors are leaders who make themselves, and their teammates, better by focusing on the "ELM" tree. E - EFFORT...do your best every time! L - LEARNING...constantly look to improve! M - MISTAKES ARE OK...focus on how you deal with them! Use encouragement and positive reinforcement as your primary method of motivating. -Strive to achieve the 5:1 "Magic Ratio" of 5 positive reinforcements to each criticism/correction. -Pair your players up during practice to teach them to fill each other's Emotional tanks. -Learn to give receivable feedback so players will be able to hear it. Criticize in private, ask permission, use the "Criticism sandwich" by putting a correction between two positive statements, and avoid giving criticism in non-teachable moments (after a huge mistake or during an intense period of play). Effort Goals are a powerful tool of the Double Goal Coach, Parent, and Player. Most coaches set Outcome Goals, which are highly dependent on the quality of one's opponent. A beginner playing against a professional is not likely to achieve the Outcome Goal of winning the match regardless of how hard they try which can be discouraging. Effort Goals are largely under one's control regardless of the competition. A beginner playing an experienced player may lose on the scoreboard but still as a chance to achieve their Effort Goal. If players are recognized for trying hard, they will be likely to continue. Getting players to understand what it means to try hard can help them throughout their life. Effort goals are motivating to all players because they can control them and they can see their progress. Here are some examples of EFFORT vs. OUTCOME Goals. OUTCOME GOAL = Get to the ball first and control it. EFFORT GOAL = Jump for every 50/50 air ball. OUTCOME GOAL = Win every 50/50 air ball. EFFORT GOAL = Make an effort to dive for every shot. OUTCOME GOAL = Save every shot taken.